Today’s blog post in in partnership with Zondervan. I don’t think I really appreciated the value of my Bible until I met someone who risked their life to have one. A decade ago, at the local Chick Fil A, my family sat with a family from a Russian-speaking country where it was illegal to share a Bible with someone else. It was a criminal act to worship together. They had actually been deported to our city as religious refugees because of the way they suffered for the sake of the Gospel. When they shared their harrowing story of smuggling Bibles behind the panels of their car doors so they could teach their community about Jesus, I thought of the dozen Bibles in my home, in various translations and in an assortment of conditions from use. Some were brand new. Hearing how they were abused because of their love of God’s Word, imprisoned, beaten and worse, made me want to treasure the Bible. It wasn’t long after hearing those stories, that my family started keeping our extra Bibles in a basket near our kitchen table. For the last 10 years, we have tried to make it a regular priority by breaking Holy Bread when we eat our daily bread. We don’t always have time on rushed nights and sometimes our attempts are spoiled by bad moods or spilled milk, but we try. And that’s good enough. I don’t know where my kids will live or serve one day. I don’t know what kind of struggles, hardships or victories are waiting for them. But no matter where they go or what they endure, I want them to know the Bible isn’t just a good book–it’s a guide for their lives. Make the Bible A Priority in Your Home –Put your Bibles in a visible place and refer to them often. Don’t just reserve them for Sundays at church. When your kids are going through something hard, invite the Bible into the discussion. 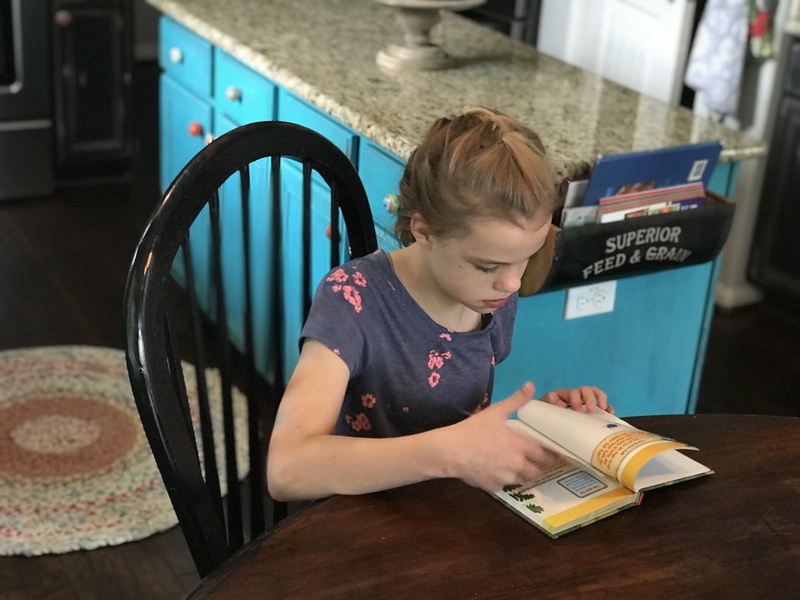 Make the Bible Fun–We’ve discovered that there are different Bible versions for various ages and stages in our kid’s development, it made Bible reading more applicable. We want them to actually read it, right? 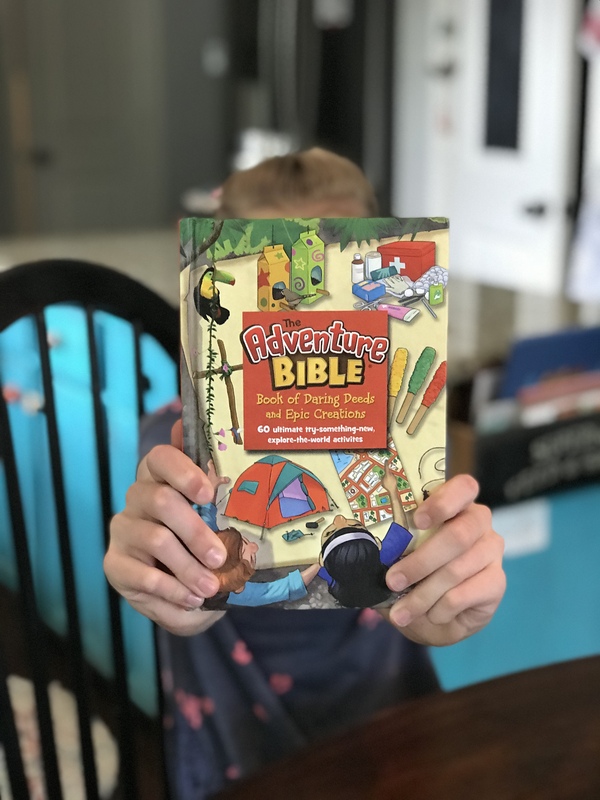 Don’t be afraid to get a Bible that is fun for your kids! Zondervan sent us the new Adventure Bible: Book of Daring Deeds and Epic Creations, that is a companion book for the Bible. 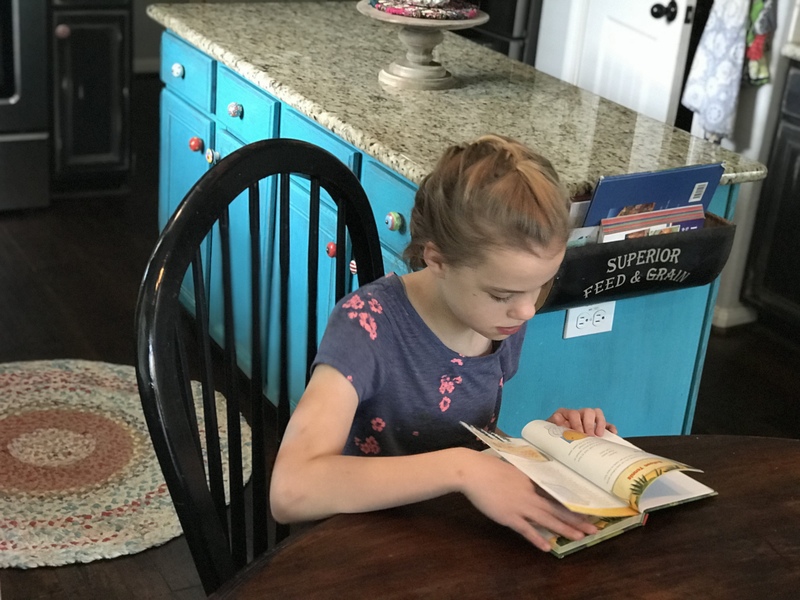 My youngest (it’s for ages 8+) was immediately drawn to the 60 ultimate try-something-new-explore-the-world activities included that coincide with Scripture. It’s an interactive guide of creativity that draws kids into the Word of God in a fun way. Read the Bible Together–One of the greatest way to turn out readers of the Word is to be one yourself. It might sound simple but when we take the time to be an example of what we want our kids to become, it’s powerful. When we read the Bible together with our kids, we are doing all 3 of these principles-having fun, setting a great example and learning together.